“RoboTarium #3” is a return to the system of movement that inspired my kinetic sculptures - the bicycle drive train. It is cordless and is battery powered. 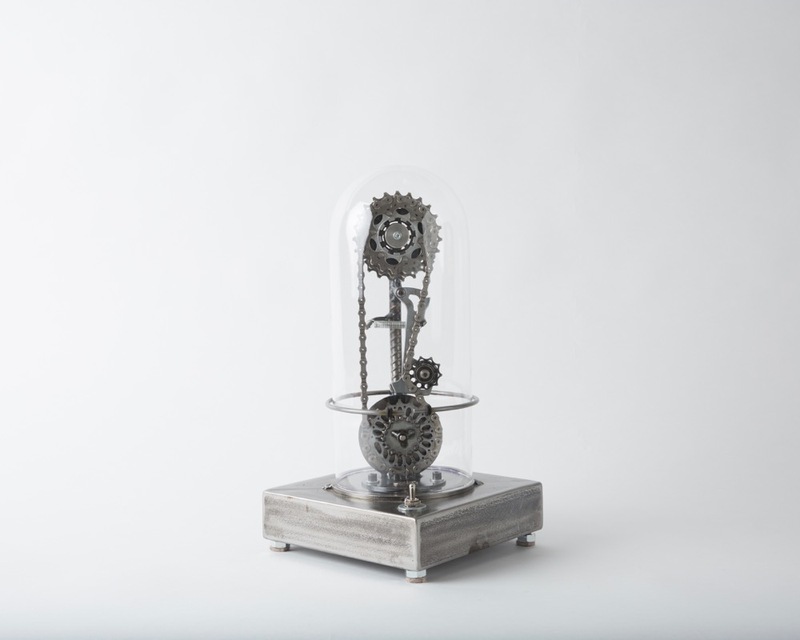 It is made of a salvaged bicycle cassette, cog, chain, and derailleur cage, rebar, steel, DC electric geared motor, 2 D batteries, and glass globe.